KEEPS 98.3 FM is one of the leading Radio stations operating in Kathmandu Valley (KTM, Nepal). The is one of the most tuned in radio stations and falls in top category media in Nepal. The station is operated by KEEPS MEDIA CONSULT (P) LTD which is situated in Kuleshwor-14, Parikrama Marga-81(with coverage area including Kathmandu, Lalitpur, Bhaktapur and nearby districts; Worldwide coverage via official website www.keepsfm.com). It has positioned itself as a Radio companion that keeps listener COOL, ALIVE & ENTERTAINED. This station is centrally located at Kuleshwor height, Kathmandu and it is highly technically suitable place for the line of sight which is the core requirement for better coverage of FM waves. So, its coverage areas are excellent. We are glad to inform you that KEEPS FM 98.3 MHz is the generation next media that targets gen- next i.e. YOUTH. As you know, today's Young generation is very smart and have very good taste and very choosy when it comes to entertainment medium. We, as a youth focused radio station, are trying very hard to maintain pace with changing youth taste and priorities in terms of ideas, views and music we play. We always try to bring out New and fresh ideas to get attention and interest of dynamic youth. 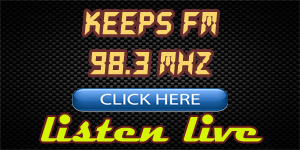 Copyright © KEEPS FM 98.3.